SoundMind Music draws from over 20 years of experience providing music for all types of media projects. We are a full services music company that often oversees the entire music package for a project covering all aspects including: producing & composing original music, song selection & licensing , collaborating with composer/producers, musicians & editors, and managing a project's music budgets & contracts. Our credits include all major types of media including films, television, video games, new media/ internet projects and albums. 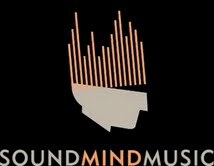 SoundMind was created by David Ari Leon following a five year run as Vice President of Music Production for the Fox Broadcasting Corporation from 1997 to 2002. As an independent music supervisor, producer and composer, Leon and his company, SoundMind, have worked steadilly for companies such as Marvel, EA and Lionsgate Films.